Will the end of the world come soon? You worry about things, you shouldn’t worry about. For example, I hear you all say: “What will now happen to the world?” We have boarded a steamship, what is there to worry about? It has a captain up there and a fireman below. It also has sailors. The steamship bends to one side and then to the other. They ask: “What is going to happen?” All this has been provided for! The captain is up. I will remain calm – the steamship will take me to the port. One day it will arrive to a certain port and you will get out. What’s the bad thing about that? And you, when you leave the steamship, will start crying. You will say: “Is this where we were supposed to land? The Earth circles round and its orbit is millions of kilometers. There are stations on its way. I don’t know at what station are you going to get off. Now you are going to get off at the “Annunciation” station. The New Doctrine will be announced to you. Blessed are those who bath in heavenly light! Blessed are those, who get warm on the Divine warmth! And blessed are those, who guard themselves from the Divine Force! The world itself will be saved. A salvation through fire is coming in the world. The future culture will come with a fire, which will burn the whole Earth and everything will be refined, the poor and the rich will go in front of the fire. It will polish them, make them all equal brothers. The rich will stop being rich at that fire, and the poor man will stop being poor at the fire, the priest will stop being priest, the philosopher will stop being philosopher. All the people will be alike, they will be pure after going through that sacred fire, they will give each other a hand and Nature will tell them: “Live prudently, so that my fire does not fall onto you again”. In the Solar system, the Earth is the lowest position, where the soul can descend. If you look at Genesis, our Earth is one of the most underdeveloped culturally. In the other solar systems there are very advanced worlds. If, for example, you go to thee solar system of Sirius, you’ll see they live very well there. The old peoples, like the Assyrians, who understood that ancient science, adopted the word Assyria –meaning people, who want to live, according to the culture of Sirius. The study of man is still to take place. We, the people of the physical world, are the stomach of being, of the Cosmos. The danger, the sin is with us. Because all such people, think only of eating and drinking. They understand life very superficially. All the scholars, whatever they are, think first of eating. Whenever a writer writes, he thinks first to write something nice, so that it sells well. A preacher wants to preach well, so that his preaching appeals to people and more people come to hear him. If you look at all those people, you will see that a subtle self-interest is hiding in all of them. They all keep talking about God, but something else lurks behind that idea. We do not want that, do not perceive that, but there is something like that. You want to speak well, you want to draw well, you want to play well – you want to be liked in all you do. All things are made so that nothing spiritual there in them. In all things on Earth, always the money or a certain interest comes first. And even behind every human deed, the humane can be found. Why? Because we enter the stomach of being. We live on the Earth, but we have been sent here on an exile. We are abandoned by the entire Cosmos and receive no communications from the Sun, from the Moon, from Mars, Jupiter or any other stars. All of you rejoice that you all have a great credit. You can believe that on Earth, there’s no greater good for you than that. You can’t live on the Sun, nor on the Moon, on Venus, Jupiter, Saturn or Uranus, you can only live on the Earth. Those, who love you, after searching for a long time, finally succeeded in finding this place for you. Only here there’s place for you. The Earth is a reformatory school. Our Earth is a reformatory institution. The finest reformatory school is the Earth. In the entire Solar system, there’s no better reformatory school than the Earth. From the Sun, Venus, Jupiter, Saturn, Uranus, Pluto, they are sent here, and a significant budget is also sent here. They like the Earth, because it serves as a reformatory institution. Whoever comes out of the Earth, reformed, he becomes a prominent person in his own homeland. Sometimes they ask: “Are there in other systems, in other worlds, sins like those on the Earth?” No, in our Universe, only the Earth is a reformatory institution. From all other systems, all criminals are only sent here, on Earth. When it comes to straightening, God comes down here to correct this Earth. Great dignities of all systems, the cleverest, the greatest people, who commit sins, are sent here for reformation. And when they are reformed, everybody goes to their own homeland, from where he had come. It can take 10, or it can take 15 thousand years, it can even be 100 thousand years or a million years – it does not matter. But whoever came to Earth, has to be reformed. There’s plenty of time. Of all the Solar system, the most mutinous ones are here, on Earth. And these are mutinous people without a cause, without an idea. They fight for no sound reason! Whenever people want to see troublemakers, they come here for a show. Such mutinous people, as these we have on earth, are to be found nowhere else. The Sun has a greater intelligence, and as a result of that intelligence, it’s in motion. All the suffering on the Earth is nothing but a result of an inert condition. All the sufferings are caused by an inert condition. The inert conditions produce suffering. The suffering continues until we exit the area of immobility. When you stop at one place, then suffering comes. When the human thought grows, suffering is decreases. People should not multiply like fish, or like birds, or like mammals. People should differ in quality, and not quantity. Why do we need such a great multiplication, to have millions of people, who would kill each other? Why do we need millions of people, who give birth to criminals? Why do we need people, whom we’ll have to teach how to live? First of all, these people have no idea of life. And God does not need such people, but, because he is gentle, so rich, that he has something to give even to the worst people on Earth. We attracted the worst people on Earth. The Earth, according to my calculations, may perfectly sustain 100 million people, and 2 billion, 4 billon are too much. If people become 6 billion, things will get six times worse. Each of you must be aware of the system, to which he belongs and respect it. The he must know the area, where he is and the precise place he occupies. We, the modern people, cannot avoid that contradiction. The Earth is an extremely restricted area. It was once created, then it had to be re-created, and not only that, its recreation for the third time is currently being prepared. Under these circumstances on Earth, man cannot be a saint. Under these circumstances man cannot be really handsome, or really strong and rich. All this is loosened. The value of man in the world, depends only on that, how useful can he be in the mental field, in the spiritual field and in the physical field. The value of man is only there, as long as he can be a medium in the world, where he lives. We, people on Earth, have come here to learn. We are a material doctrine. We are here to elevate the value of the Earth. In this world, we are a material doctrine, this Earth gains value, according to us. Those professors, who will come to teach us, they will come because of us. If we leave the Earth, they will also leave and the Earth will be like to Moon – a lifeless structure. I imaging the Earth as a great Divine flower, and as discredited as some believe it to be, it reveals this flower only to elevated souls. It hides its Divine nectar only for the great soils. And everybody should come down and drink of that nectar and be told: “You are among the worthy children of God”. Then, with that acquired great matter in him, man ascends to the invisible world and starts again that extraordinary life. The people of today believe in luck, in lottery, in unexpected happiness, from the outside. And that is why many say: “Time will fix things". No, time cannot fix things, it only records them. If a person goes to the weather, he will receive the following reply from it: “You must go to the living nature, it will teach you its laws and show you how to live. Then you should go to God, so that He shows you that in the whole universe there’s only one great law, which includes in itself Love, Wisdom and Truth, and these connect all creatures in the entire universe.” You say: “If there’s only one law in the entire universe, this means that there’s uniformity everywhere in the world”. No, the diversity of the entire universe hides in the great God’s law. There are already systems, which are outside the bad living conditions and the creatures there live angel lives. Our system, however, has not passed its redemption yet. It will soon pass the borders of the thirteenth sphere as well and acquire its redemption. When it acquires that redemption, the Earth will enjoy a reception such that the world has never seen: angels will wave their flags, descend and ascend to heavens, songs will be sung, music will play – there will be joy everywhere. One day, when all this happens, everybody will believe and say: “This was told". Earth’s reception will be magnificent! She is a beautiful girl, carrying at her bosom billions of kids. When she presents herself to God, she will say: “My Lord, You gave me these children to raise. Here, I bring them back to you, grown-up and intelligent." The Earth is a great suckling mother of all beautiful girls and boys. The modern people are orphans, whom the Earth has undertaken to raise. When she raises them, she will bring them to God. Many say: “The modern man is a great philosopher!" What philosopher is he? The modern man is an orphan, sent to the Earth to be raised and educated. The Age of Aquarius is a mystic age. Since 1914 we have already entered an age, when all the snow and ice have started melting, because the main thing about Aquarius is the purity and whoever comes into this area, will definitely be purified. After 2 100 years the Earth will enter a new sign, and now Aquarius will reconcile everything and the old will be gone. One day the entire Solar system will pass through fire, in order to be purged. Nothing will remain of people’s sins. Now sins result from the special contents of the matter, in which people live. This matter is unstable and a special type of decay takes place in it. In the future this matter will crystallize and the world will be transformed in a special way. Then sin will be impossible, because there will be no such matter that creates it. The matter will be stable. Then you will see what beauty means, then you will see the crystal springs of immortality, from which life issues. There you will see that water itself formed the material world. A rational Divine wave is coming and reshaping the world. This, the rational thing, acts in people and changes the internal order of their thoughts. It is enough that people get out of their cellars and light will find them. This wave can already be seen, in the entire world there are souls awakened, all of them have broad minds. The divine is everywhere, in all countries – as long as you are ready to work. The right now lies with good people. All these brotherhoods have influence. The new life is coming. Him, who understands, should rejoice that he is born in current times. The new order is overtaking the Earth. Soon people will comprehend that space is full of rational beings, which constantly pour light in people’s minds, transform things. Everywhere interest in the spiritual can be perceived. People ask: “How will the Earth be fixed?” This is how: the snow and ice must melt, Love has to fill the air Now you enter someplace and see that the entire air is loveless. A radical transformation is coming to the world. Those, who created the Earth, who created the Solar system, have decided to transform the Universe. The entire Solar system passes into a new phase. The old life on Earth is incompatible with the new one. Those who organize the Earth, are not here. Don’t think that these people, who are now on Earth, will be able to transform the Earth. Salvation comes from the above, from light, from warmth. Today the particles on Earth do not move as they did once. So the atoms and molecules on Earth have changed their motion. The Earth has changed not only its direction, as a whole, but also the direction of its smallest particles. What happens to Earth, it also happens to us. It’s all very natural, Earth’s particles also enter our bodies. So your bodies also accommodate the same motion, the same change. This is the reason why all people today are unsatisfied. People were once more content. What’s the relation between contentment and discontentment? What’s the difference between them? Contentment is a circular motion. A let you define discontentment. There are matters, which will always remain unresolved, with respect to Being. We say that things are being resolved with respect to Being and God. All things are only resolved by God, but for us things will always be unresolved. When you live on Earth, no matter what you do, some things you must reconcile with facts, as they are. We look at this life from our point of view. If you look at man, as he is structured, from God’s perspective, you will see that everything happening on earth, is in its right place. Even the worst situation, even the current social life also have their deep reason, and therefore things happen this way and not another. Always, during the transition from one age to another, when a culture is dying, and another is being born, there are great sufferings, collisions, turmoil, because all the forms of the old culture have to reorganize, so that there are conditions for the new one. Now it is a transitional period, a culture transforms into another. There will be new kingdoms, the old culture will give way to the new one. Trials, greater than our current trials are coming and only faith and prayer can help. A storm has come, and you can’t just ask it to stop. People should pray and be joyful, that this trial is coming. You live in a house, which was not built properly and it falls down. What is the reason for that? It was not built properly in the past, and that is why now it collapses. The same applies to today’s culture. All of you must shake down all the old habits. Lord’s day that is coming, will be a day of such great light, that nothing will hide from it. You say: “Has the time come, yet?” You are already late. I want the following thought to remain in your soul: the world is now entering a new culture. The current age is going away. The way the world was built is just temporary. The order that we have now, was imposed in the past, it was buried in the past, but for a future order, nature considers the current situation unsatisfactory. And nature has almost closed its windows and is now making the recapitulation, closing its accounts. In this closing, people want to be happy. They cannot be happy, because there is a repayment. Whatever you have given and taken – everything is being paid. In the new future firm, there would be no giving or taking. If some of you want to be happy, this is currently impossible because you’ve come too late. I don’t want to dishearten you – you’ll need the thickest clothes – there will be snow, wind, lack of money, diseases, darkness, turbulences inside and outside, you’ll need candles for the nights. I speak both literally and allegorically, you can’t do without allegory. Every mathematical formula is an allegory. Current people want to live calmly and richly, everybody to be satisfied, there is an intense struggle for enrichment. This is not the work of today’s people, but these are ideas, which have developed now. They did not express them then, and want to express them now. Now it’s time to express these ideas – now it’s the autumn of this age. Therefore the obstacles will remain obstacles. All these plans, designs, which current people have, will remain unfinished. Their destiny will be same as that of the large animals – the mammoths. When Earth’s axis shifts, the North Pole changed, it lost its tropical heat and all these animals died out. In the same way, all these grand ideas, plans and desires, everything will be swept away like those great beasts. Only the tiny little things will remain. Now, this is only a suggestion. Future will show if this is true or false. The entire old culture will burn and a new culture, with new images will be created. When these new images come, not a trace of Christ’s suffering will remain, nor of mankind’s. It’s been said: “not one stone here will be left on another“. This is true not only literally, but also metaphorically. All people’s concepts of life, of the relations between fathers and sons, between mothers and daughters, between servants and masters, between believers and non-believers – everything history has recorded since the beginning of time, will be swept away, blown by the wind, like dust is blown away from the streets. Once there were enormous animals, up to 20 meters long. Nature sent them to the spiritual world. Now the large animals of the past are within us – these are our ravenous desires. But, whatever our desires, in a few years time nothing will remain of them – everything will be gone. The Sun will also change, as well as the Moon, and the stars and a new thing will emerge. The inhabitants of the new Earth will be different. The world has never had as much knowledge and has never been as cruel, as it is now. Our concepts of the world, our perceptions of the individual and public life, of religion, family, school, church etc., must undergo radical changes in their form, in their content and their meaning. If we are intelligent, these changes will come in the natural manner of evolution, i.e. without turmoil or catastrophes, but if we influence them by force, they will happen, according to the law of necessity, but violently. The great unrest in the world, is due to the Spirit of Christ, who works in the depths of the entire mankind. The current society is at its end. This cycle is now ending and all the people are put to trial. You ask: “What will happen to the old?“ The old will not be destroyed at once. Everything old ,which can be used in building the new, will be used, and what is unsuitable for the new construction, will be discarded as useless. The end of the century means an end to the old conceptions of mankind and a new age of light and love, the end of violence and the beginning o peace and freedom, the end of the old world, and a beginning of the new world, which will last thousands of years in the future. God has a plan as to what will happen to the world. How is it going to be fixed, this has been determined by Him. Christ has indicated the signs, which will show when this would happen – every time people fail to adopt a Divine principle, a great reaction comes. Nothing, however, can ever change the existing Divine Plan. Christ speaks now to the European peoples: “If you apply My Doctrine, great knowledge, great benediction awaits you, but if you reject Love, you will experience the greatest misery”. Something terrible preparing under the ground. If these people do not adopt the Divine Love, there will be a revolution in nature. And this revolution, which is taking place now, is nothing, compared to what nature is preparing. There will be such a revolution, that the world does not remember and has never seen. Another culture will grow on this Earth. Only these reasonable relations of Love can save us from future catastrophe. When God, i.e. Love comes to the Earth, He will produce such terrible earthquakes, there will be such great distress, that whoever goes through it, will stand beneath the tree of life and right here on Earth, will solve the great problem. This problem is not solved in Heaven, but on Earth. The Lord is coming to purge the Earth by fire, to collect people’s old rags, give them new rules, import Love in their hearths, elevate their minds and remove from them any malice and hatred. The peoples now walk along a wrong path, trying to waken one another. If they don’t humble themselves, great revolutions will also happen, because there will be no proper government and hunger will be felt. Christ came to Earth on a great mission. He wanted to show the European peoples of that day, what to do and how to behave. Everything the Christ preached during his time, referred to the current times. He said to all peoples: you will come to a great crisis. If you want to escape this crisis, the only solution is in what I am preaching. If you apply My doctrine, you will be redeemed from a great catastrophe, but if you fail to follow My doctrine, the catastrophe is unavoidable. If peoples do not humble themselves, there will be famine, chill, great earthquakes, pestilence and only after that they will humble themselves, i.e. such fearsome things will happen, that will make them humble themselves. But because of the chosen ones, the suffering will be discontinued. Those, who are chosen, support life. When speaking to his disciples, Christ told them: „Remember Lot's wife”. What’s the life she led? The old one. Some of you say: “Let’s return to the old, we are not ready for a new life”. What is that “old” - History has already described it, but I’d like you to describe it too. Visit the butchery, the battlefields, chemical laboratories, and you’ll see what people are preparing themselves for. Everywhere you’ll see destruction, extermination and violence. This is the old life. Religious people annihilate religious, scholars annihilate scholars, women annihilate women, men annihilate men. “Why does that happen?” Men fight for women, women fight for men. Rich fight with rich, poor fight with poor. The entire world is in a military state. After that they say: “It was destined to happen, that’s what God said”. So, you think this is Christ’s doctrine! So these are Christians! No, these are just residues of the old culture, which is about to end. What we are living through today, and feel that it weights above our heads, is the karma of the entire mankind. This is a debt, which must be paid. All of us will be affected by the common karma of mankind. Everybody will have a piece of that. Today Lord imposes fines on all peoples, as well as the entire mankind, for their disobedience. They are paying a tax for their disobedience. The judicious person, the wise world, cannot ever be outsmarted. The Earth is very clever. What you have worked with, it will finally take back, and with interests. You must know that everything you have acquired through bootlegging, will be taken from you at the last customs. This world and the other are one, when consciousness is not interrupted. These are the last days of the world. Everything old is going away, not much time will pass, before this century washes away everything. All the philosophizing, all the sciences must be modified. God has decided so. Already a plan has been prepared. Mankind cannot live in these rags. The karma of European peoples is still immature. The cataclysm that is about to come, will be both social and natural. A;; the religious forms will loose their sense. The invisible world has decided. The matter has been decided. There is a program and, when the button is pushed, everything will end. The situation, through which the world now passes, is a transformation from one state into another. And modern scholars start to notice that. The ice, on which you used to play, has started melting and loosing its rigidity. You’ve noticed that you can no longer play with your ice-skates on it and you start sinking. All the ice has started melting gradually and what is left is water. And you still have not learned how to swim in that water. Now, when we say scientifically, that there are no living conditions for the sinners in this world, why do we say that? People sometime think that there must be an external plot. It is not so. There is another law in nature: in your lives you already carry the poison which will decompose you. Entire families, entire races have disappeared from the face of Earth, with their sinful lives. The karma of all peoples is immature, now it is time for liquidation, for repayment. The sixth race is coming, and peoples cannot enter it, before liquidation of their karma. And now all this suffering is a liquidation of the accumulated karma, a preparation for the new life, which comes on Earth. In not more than 200 years any brotherhood, any relation between people, who are connected in flesh, will disappear. The connection between people, born of God, will remain for at least 25 thousand years. This permanence, this durability of connections, will enable the judicious forces, which act on human souls, to do their job. How will peoples’ karma be resolved? It’s very simple – the invisible world has methods to resolve this issue. It has provided for a great migration of people from the East to the West, and then from the West to the East. This great migration will first occur in the invisible world. In this way the Germans, killed by Russians, after some time will be reborn in Russia. In the same way, the Russians, killed by Germans will be reborn in Germany, after several decades, after these generations grow up, in – say 45 years, they will find out that they no longer have among them the hatred of the former generations. This is how nature resolves this issue in the family first: parents give birth to their enemies and through raising and educating their children, they pay their karmic debts. There is not a single parent, who does not love his children. In the same way, the people in this war will repay each other their debts, after 45 years. 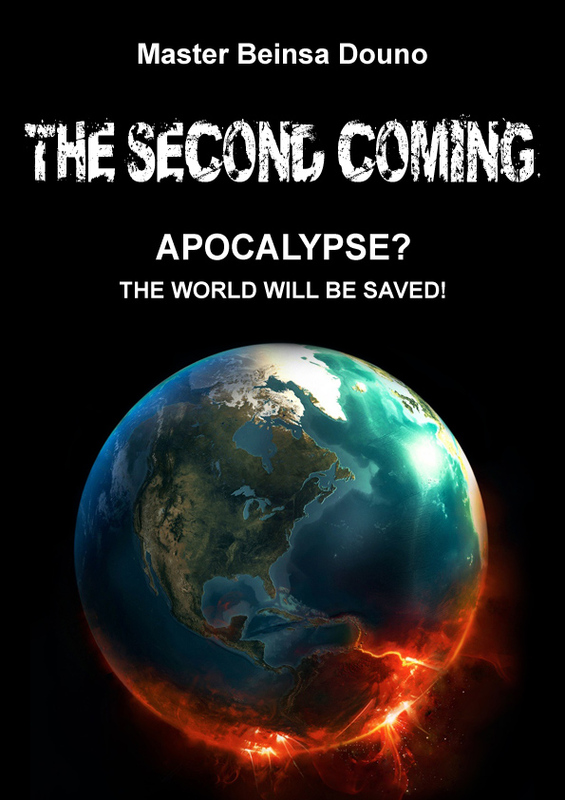 Now it’s the Second Coming, “the end of the days“, all these things were described in Mathew 21 and Daniel 12. These chapters refer to the current age. If this age is not cut short, no one would survive. But, for the sake of the elect, those days will be shortened. There will be great bloodshed. In many countries there will be civil wars, but in those, which are closer to God, the turmoil will pass more easily. Then the forces of heaven will be outraged, great earthquakes will come – where there’s land it will be sea. Those who are saved after this distress, will enter the Kingdom of God. There are things that are irreparable. The way people now think and live, the world will not be corrected, it will get ten times worse and sink in a greater disorder, but it won’t be fixed. If people fail to acquire new understanding, if they do not bring Divine Love, Wisdom and Truth into the world, a catastrophe is to happen. Things may be fixed only in God’s Order. Let/s leave the world to work as it can. There’s no way we can help today’s world. We can’t help it, can’t correct it. This world goes along the path it has chosen. It has to end this way. You may read as many authors, as you want – I have also read some scientists and philosophers, but never so far has any one of them provided a proper solution to the current crisis that has overtaken the world. The way this world was born, is the way it will die. This world cannot be corrected, this world’s order cannot be corrected – nothing more! No matte what system is applied to it, what doctrine is taught, what religion there is – this order of things cannot be corrected, today’s world cannot be corrected. This is how it is. This is a ship, which you have entered, and you will pray to God to get on shore successfully. If you can get on shore successfully, you will then be very careful not to put your foot there anymore. The feet of the figure, made of mud and iron, are an image of the European culture. The large rock, which hit this figure and broke them down, is God’s Destiny, the wisdom that comes to the world. This large rock will smash all modern old concepts and beliefs in science and social life, and it will create a new science, new relations, which will be based on a firm, positive foundation. Now everybody wants to know what will happen to the world: the world is the golden headed image, seen by the king. But, you see, a tiny rock came, destroyed the entire image and threw it on the ground. So the old culture, with all of its traditions, remaining from grandparents and ancestors, will be destroyed, nothing will remain of it. The small rock, cut out from the mountain, will destroy the old culture and only what it brings here will remain on Earth. This is the new that you should accept. What the prophet described refers to the current time. The time has come and it is now that the golden head of the world, its silver chest, its copper knees and feet, made of iron and mud, will be destroyed. The current age is transitional. It is the age of destruction of the old culture, restoration of the Kingdom of God and imposing new order on the world. The Scripture says: “Prey that the days of distress are cut short “. Should those days are not shortened, evil will fall upon us. When will those days be shortened? When good people apply Love. Mankind will be put through a fierce, hard trial. Everything will melt, it will turn into dust and ash. When will this happen – this is not important – it might be a year, ten, one hundred or one thousand years. What is important is that the law will be enforced. You will witness that time and check the veracity of my words. One thought must find a constant place in your minds: amend your ways and doings. I have come to a point, where I can and I want no longer to carry your impure and evil thoughts and desires. I don’t want to carry the filth of modern age. Everything that you see today, will vanish, it will melt. This is God’s will. The invisible world has decided to do away with the old. This should not make your hearts sink, but make you amend your ways and doings. With this new life, we want to safe the world from a catastrophe … A catastrophe is about to happen to the world, due to the folly of today’s people, a social catastrophe is about to happen, a catastrophe that will cause concussion to people’s minds. Now a collision emerges, as mentioned in the Bible. Everyone can dispute what the Bible says. Nothing funny is written in the Bible! Very little is written there. There is another great Bible, for which it will take at least ten thousand years to read just a half. It will take 20 thousand years to read the entire Bible. There are also pictures inside. All these ages are detailed in with pictures, and in order to study and get to know it, it will take several million years. Now, somebody has read the Bible and come to the Revelation. So he came to the Revelation and then he keeps harping on the same string. He says: “The sun will be darkened, the Moon will not give its light“. The Sun is the symbol of the state, the worldly power. When it is said that the Sun will be darkened, this means that the power of all countries will decline. When it is said that the Moon will not give its light, this means that all the religious beliefs will decline. When it is said that all the stars will fall from the sky, these are the great people, who will fall. Those stars that fall are great suns. Where will they fall, how will they fall? Simple people say – the stars fall. It’s the small bits that fall, but anyway they burn out. I now refer to a world beyond our current world. The current world cannot be changed. When it is said that the world will change, the Earth is not mentioned. The scripture says: “The Sun will be darkened and the Moon will not give its light ". You think that the Moon and the Sun will be darkened. You are wrong. The Sun will keep giving light for millions of years. If you are waiting for it to be darkened, be sure that this won’t happen. But the Sun is an image of an order, which is to change. And the Moon is an image of a human order, which also must change. The Moon shows that even the religious beliefs of people will change. Once people had pagan beliefs and religions changed with other religions, superior ones. And the Sun is the governmental rule. The Sun of the Roman Empire went down. The Roman Empire was darkened and the Roman religion was darkened as well. They were replaced by others. And the current order of things will change. When people are ready, the education law will change. Until then all people must adopt a new understanding. “The Sun will be darkened, the Moon will not give its light." The Sun is Love. The Sun will be darkened at the end in societies, in the church, Love will be darkened everywhere and everybody will only think of him or herself. This is the life-giving Sun, and the Moon shows the faith and the faith of people will be weakened, they will not believe in one another. “The stars will fall", means that these people won’t have that much knowledge. Scholars will loose direction and won’t know what to do. These are stars. The great people will have no more authority in mental lives. What we are preaching, will happen in the future. There are laws, according to which the worst doings will be replaced by the best. War will definitely be replaced by another process, directly opposite, this is inevitable. People see that war is incompatible with life, but can’t find and output to put through their energies. For this matter is clear, but for the government – it is not. Things that are now impossible, will be possible for the future generations. It is time for people to change. The concepts and principles, on which their lives are based, must change radically. This storm will not wash out the entire world, but it will cause great evil to people. It is reasonable to take measures to avoid the bad consequences from that storm. Here’s what I say: my words will come true. The old will disappear, something new will come ahead in science, religion and social life. All people will start thinking in a new way. Then new connections will be established between the European countries, which will be based on a new, modern confederation. The communications between countries will be free, without passports, without limitations. Everything old will go. All the philosophizing, all the sciences must change. And this has already started to happen. All the religious forms will lose their meaning and the religious people will have a new concept of God. The Old has to go, nothing more than that! God Himself says that, these are not my words. The old Earth and the old Heaven are going away like old rags. This doctrine is not my new doctrine, it is God’s doctrine. Your old Heaven will be swept away by the Lord, His servants are coming, they are millions, they are coming with their brooms, to sweep away everything. Do you understand? And all issues will be resolved by the Lord like this, instantaneously. Now, do you know why I am say this? You must know that God does his work through people. And, as I speak to you, you are saying: “Mr. Dunov says that”. What I say is what has been said from above – this is what is said by the heavens. I repeat that the Lord will come to purge the Earth with fire, take the old clothes off the people and give them new bodies, put Love in their hearts, elevate their minds, remove any malice, any hatred. This is announced by the Divine Doctrine in the new age. Fire comes! Nothing will remain of him, who does not have Love. Nothing will remain of the European countries. Not much time will pass and you will be able to check what I am saying. Only Love will save you. The words of the prophet will be heard. Nothing will remain of the plans of European politics. This is to be known by European diplomats. Nothing will remain of the current religions and churches. Not one stone will be left on another! Love will destroy everything old. After that we will start building. 2 thousand years ago Christ started living in people’s hearts and now grows in them. And the time will come, when Christ will show Himself through people, and then the Kingdom of God will come on Earth. You’ve been growing up for 2 thousand years. The new age will be an age of renovation, the renovation has just started. The new shall come as the dawn of day. And do not be mislead, that the new will come from these laws that are being forged now. The true laws are written in human hearts. Man will show himself, as it is written by God in human hearts, and not through external laws. The new will come from those of pure hearts, in which God’s laws have been written. As I am talking, I don’t want to injure your beliefs, because I know that in your former existences you had completely different beliefs, different faith, and in the future you will not believe in what you now believe. Not that the current beliefs are not truthful, but they are just a little bud. Every bud must bloom, produce fruit, so that you see the contents of your faith. We are talking about Love. Your Love has not bloomed yet, your lives have not blossomed, your light has not bloomed yet – they are still in embryo, they are a bud, which is waiting for its time, which we call the coming of the Kingdom of God on Earth. This Earth must pass through fire, in order to be purged and all unrighteous people to be reformed. Not a trace will remain of all these sinners – nor of their paintings or other works, everything will parish with time. The hospitals, the houses, churches and young bride’s necklaces, everything will be gone. You’re saying: “It is dreadful!” No, it is not, here’s what I say: when a hospital has serviced sick people for about 30 years, various diseases have passed through it – leprosy and others, it must be burnt down, nothing should remain of it, and after 20 years a church should be built at that place. You say: “Where will the doctors go?” Doctors will again be needed, but doctors for healthy people. The doctor should tell a healthy person 20 years before a diseases occurs, if the germ of the diseases is in that person, to take all necessary measures to prevent it. The current age has come to its end. We can’t get any lower in the dense matter. And now we are already in a process of ascending. The next race, when it comes, it won’t be able to go further down, there will be no body left to carry. Now everybody should carry up to the top as much as he can, and everything else shall remain down. There will be an upswing in the future. When we say that the rich must surrender their richness, this means: a person should carry as much as he can take to the top. This is all that is his. Everything else will be left. “But will there be no servants?“ Servants are not allowed in nature. What the others carry, it is theirs. Now you are saying: “If this doctrine is applied with this understanding, it will have no results, because people are self-interested “. When people become clever, when Love connects them to the world, when there is cooperation or agreement between people, and they help each other, like the cells in an organism, then the result may be different. The concept of God will then be different than the current one. We will have the notion that God lives among men and then they will know Him – everybody young and old. The rich won’t keep their money locked in saves, as they do now. The preacher won’t try to convince you in certain creed, but leave you with what you’ve been born to. When I am telling you this, many of you get scared and imagine things formidably. Here’s what I say: do not think that what I’m saying will happen right now. No, these are only projects. In a drama, things are presented dramatically, but they are not real. There are known prophecies, made back in the old times, but these have not yet come true; there are more recent prophecies which have not come true yet either. The question here is: how can we avoid these prophecies, i.e. what is about to happen? This is possible and it is in the agenda. Now we are afraid of the consequences. Whether we are afraid or not, what is going to happen, will happen. The difference is only this: if a person dies in fear, he will suffer more; if he dies without fear, he will not suffer as much, but will die more peacefully. This is want we can achieve. The world is being corrupted now, but the fall of the world is due to a general reason. The reason is not what it is thought to be. When people come the same spot, where we have fallen, and from there an elevation starts, and gradually there will finally be a positive result. We’ve been walking along a curved path in an orbit for 8 thousand years. We are close to completing a semi-circle. We will reach that low point where we’ve fallen, according to the laws of involution, and, according to the law of evolution, we will then reach the opposite point and will have a different sunrise. The ascension and salvation of the entire mankind will then come. You may dishearten and say to yourselves: “We’ve been living really bad“. No, people have been living this way for thousands of years. You will meet the new that is coming to this world. You’ll have to meet it in one way or the other. Spring is coming – and both the sick, and the healthy will come out to welcome it. The sick will groan and moan, and that’s how he will meet it. But, if the sick is intelligent, he will get up from his bed and get well in the spring; but if he is not intelligent, he will not benefit from it. So, here’s what I say: what is now coming to this world, will establish the necessary condition for everybody to improve his position. The healthy will get healthier, the sick will get well. The healthy will become perfect. Health is the medium for perfection. I wish you acquire the Divine Warmth in your hearts – the warmth that you once lost. This is the meaning of the words: “The Kingdom of God is preached”.